Curcumin, a natural polyphenol compound, exhibits wide range of pharmacological activities. However, its poor aqueous solubility, weak stability, and rapid metabolism limit its potential development. 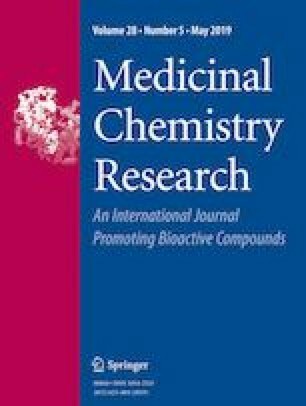 In this study, solid dispersion of curcumin with PVP was developed. This study aimed to evaluate the loading capacity, stability, solubility, and anti-tumor activity of PVP-Cur solid dispersion. Scanning electron microscope (SEM), differential scanning calorimetry (DSC), X-ray powder diffraction (XRPD), and fourier transform infrared (FTIR) spectroscopy were used to investigate physical characterization of PVP-Cur. Loading capacity, stability, and solubility of PVP-Cur were evaluated by spectrophotometer. The biological effects of PVP-Cur on tumor cell proliferation and apoptosis were analyzed using CCK-8 assay and 7-AAD/AnnexinV-APC assay, respectively. PVP-cur-induced activation of caspase-3 and caspase-9 were evaluated by in vitro caspase activity assay and western blotting. It was interesting to note that PVP: curcumin in the ratios of 6:1 or 8:1 exhibited the highest loading capacity. Anchorage of curcumin onto PVP increased its solubility and stability. Compared with curcumin alone, PVP-Cur displayed an increased ability in abrogating tumor cell proliferation and inducing tumor cell apoptosis via mitochondria signaling, which was attributed by the enhanced cellular uptake of PVP-Cur. Anchorage of curcumin onto PVP was an effective way to increase the solubility and stability of curcumin. PVP-Cur increased anti-tumor ability and cellular uptake relative to curcumin, indicating that PVP-Cur is a promising candidate for anti-cancer drug development. This work was supported by the Natural Science Foundation of China (No. 81500336), Beijing Natural Science Foundation (No. 7151004, 7174307), and The China Postdoctoral Science Foundation (Special Fund 2015T81096).